In a recently published research report by YouGov, findings showed that television ads have a greater impact and are more memorable than their online equivalent. 4,199 adults in the UK took part (conducted by YouGov for consultancy firm Deloitte) with over 60% of all 18-34 year olds voting for TV advertising as their preferred format for advertising messages. Over half said the most noteworthy ad campaigns during 2010 were on TV, whilst only only 2 per cent preferred online video advertisements. The numbers dropped even further with just 1 per cent choosing online banner ads, iPhone and iPad ads over any other form of messaging. Interestingly, over a third said they were likely to watch a 30-second TV ad, while only 3 per cent of respondents said they would pay attention to an online pre-roll ad. In my humble opinion, these numbers don’t come as a surprise. The incredible expansion and availability of information has undoubtedly enriched global learning, development, accessibility and entertainment. The debate here is about two things. Firstly, content versus channel. Ultimately, people want content which entertains and informs and is available when they want it. My favourite example of this is the Moonwalking Bear creative, which has had over 35 million views worldwide since its launch in 2008. The channel for its carriage is irrelevant, it has worked because its genuinely an incredible piece of content which promoted itself and was passed around because it was interesting, entertaining and informative. An oft quoted example of content over carriage are the ‘Will it Blend ads’. 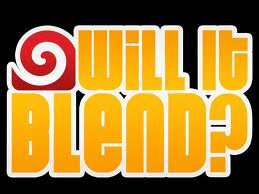 For anyone that hasn’t yet seen them, click on http://www.willitblend.com/. Over 50,000 people are Facebook Fans of this, and as of June 15 2010, the Blendtec series of videos had collected a total of 117 million views on YouTube. To my knowledge, these infomercials have never been aired on TV and yet still received phenomenal levels of viewing. More importantly, there were positive results from both of these examples. Sales from Will It Blend went up considerably, and Moon Walking Bear is listed in the Gunn Report as the 8th most awarded ad in the world and is also credited with cycling fatalities in London dropping by a third. I believe that briefing is critical to success, regardless of the channel. A client has to be brave and precise enough at the early stages of briefing. Too often, it is likely that a TV ad is briefed, with the online aspect coming later and dependant on budget. Pre-roll ads can be very effective, but these are usually not considered as the cornerstone of campaign communications, but as an add-on. If the infamous, and in my opinion quite brilliant, Meerkat creative had been briefed as an online ad, how would it have looked? Would it have been such a huge success if constrained by channel at the briefing stage? I also believe that viewing figures do not present a valid argument when it comes to TV versus other channels. The daily homepage figures for Windows Live are virtually equivalent to Big Brother ratings, so getting to a sizeable online audience is not the barrier that needs to be overcome. The real challenge lies in authentic creativity, which is designed to speak directly to the audience it is trying to reach. Secondly, once the idea is developed and sold, it has to be seamlessly integrated across communication channels. Too often, a communications plan is developed with broadcast at the core, and digital, PR and Sales Promotion added on after the requisite reach has been delivered. Any idea, no matter how brilliant, will not work to its optimum, if it is planned in isolation. Huge realms of research have been delivered which show that we (as consumers), clearly don’t live in silos any more, and therefore communications need to adapt to this new way of consumption. The fact is not whether TV is more, or less, effective than online, but how they can work best together. How many of us watch TV on our computer or in the traditional way, whilst looking at emails or shopping online. If the messaging is consistent in terms of look and feel, and planned with the consumer’s habits and consumption in mind, then surely this is utopia and what we should all be aiming for?